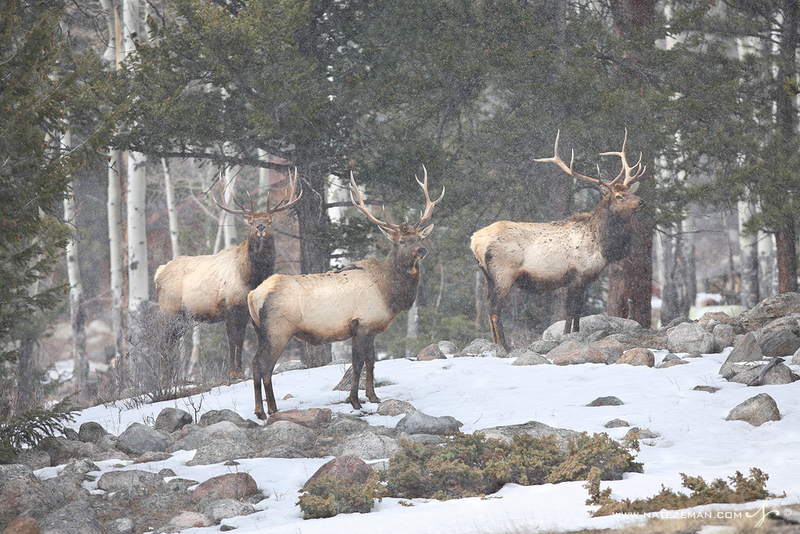 Three large bull elk take a moment to scan their surroundings in Rocky Mountain National Park. During the peak of the mating season, these three would be mortal enemies, fighting for the right to mate. But after fall, elk typically separate into groups of cows and bulls. In the winter, the bachelor groups can often be seen sparring with each other. Soon their antlers will fall off, spring will come, and the whole process will start over again.